A very similar view to SW3523 : One for the Seals. The "red cleft" is divided on the left by the Diamond Horse, "so-named because the rich quartz veins here were mistaken for diamonds" Link . 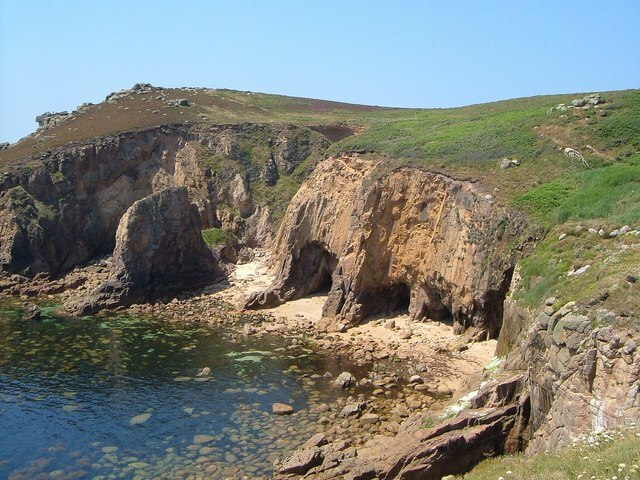 The cove was the location for a curious deception in 1869 involving the laying of the first submarine telegraph cable - see Archive Link .